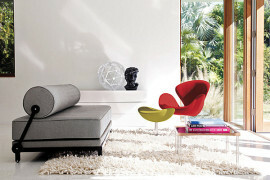 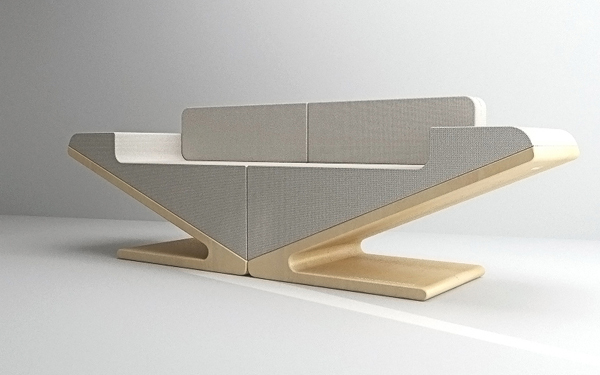 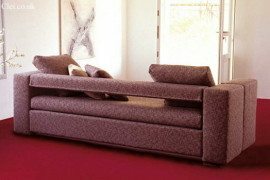 The amazing push and pull V-Two sofa by DesignJoo prides on a clean and multi-functional design. 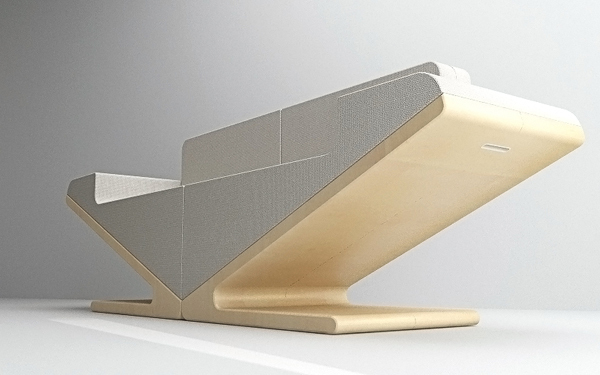 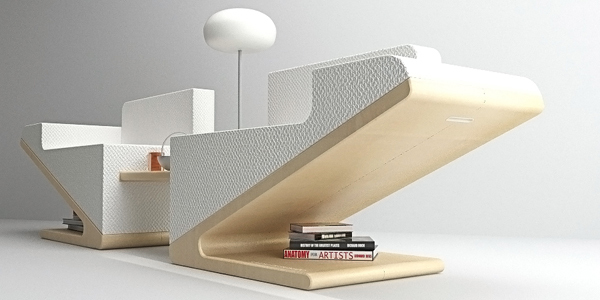 The clear-lined, light and futuristic piece of furniture has the shape of a triangle tuned upside down and is adjustable to the room space. 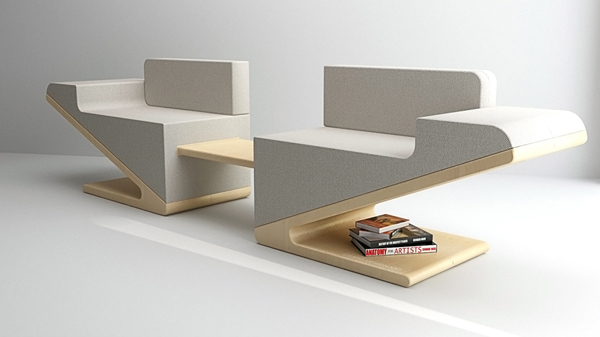 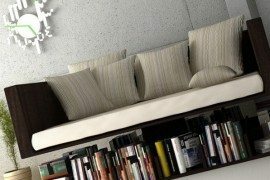 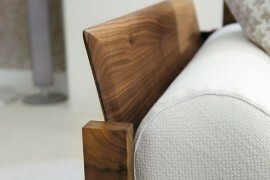 It provides storage space and the possibillity to convert it into 2 individual seats flanking a minimal coffee table. 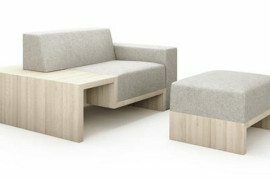 Made from birch wood, coated foam and delicate fabric, the artful and versatile piece is ideal for a modern and stylish living room, be it small or spatious.